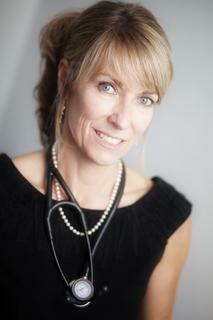 The Non Surgical Clinic has been set up by Dr Renée Hoenderkamp. A qualified doctor working in the NHS, Renée has for a long time wanted to open a skin clinic that offers non surgical skin solutions carried out only by qualified doctors. The promise of the Non Surgical Clinic is that you will only ever see a qualified doctor for your injectable treatments or a qualified beautician for body treatments and your procedure will be carried out by the practitioner you see. Renée is the lead doctor and carries out most of the injectable consultations and procedures. Alongside her she has put together a small team of qualified doctors who have all had the same extensive training in injectable non surgical procedures and in whom you can have confidence and place your trust. Renée has also personally selected professionally trained and certified beauticians to deliver the non invasive slimming and fat removal treatments. You will only ever see a qualified doctor for injectables, and your procedure will be carried out by the doctor you see. "I realised long before I trained and qualified as a doctor that when undergoing injectable non surgical facial procedures that I wanted somebody to do the procedure who had a medical training. I looked long and hard to find that person to do my Botox and found it really hard to get the combination of a trained doctor with non surgical experience who was also a woman". It struck me that as good as the doctor was who did my botox (before I started doing it myself!) that it would be good to have a woman who understood my concerns and expectations. This was where the "Non Surgical Clinic" dream was formed. Having now trained and worked as an NHS doctor and worked within a non-surgical clinic for the past few years training and building my experience, I am thrilled to be heading up the clinic that does everything I was looking for all of those years ago."